* Manning’s TD pass to Nicks gave him 200 for his career and moved him ahead of Phil Simms (199 TD passes) for most TD passes by a New York Giants QB. * Manning became the 33rd QB in NFL history to reach the 200-TD mark. In addition, Eli became the 19th QB in league history to throw 200 or more touchdown passes for one team, making the Giants the 15th franchise to have at least one QB with 200-plus TD passes. There are 14 QBs who have thrown for 200-plus TDs in their career, but do not have 200 or more with one team. Those QBs are: Warren Moon, Vinny Testaverde, Sonny Jurgensen, Drew Bledsoe, Dave Krieg, Boomer Esiason, Y.A. Tittle, George Blanda, Kerry Collins, Kurt Warner, Randall Cunningham, Jim Everett, Roman Gabriel and Matt Hasselbeck. * Dallas’ Tony Romo last season surpassed Troy Aikman for most TD passes in Cowboys’ history. Romo now sits atop the Cowboys’ list with 177 TD passes. Will Romo be in Dallas long enough to become the first Cowboys’ QB to throw 200 TD passes? * The Packers Aaron Rodgers during the 2012 season passed Bart Starr (152) for second on the team’s list for most TD passes with the franchise. He now has 171 TD passes and could become the Pack’s second 200-TD QB in this upcoming season. * Ben Roethlisberger of the Steelers missed three games in 2012 but was still able last year to up his career TD pass total with the team to 191. 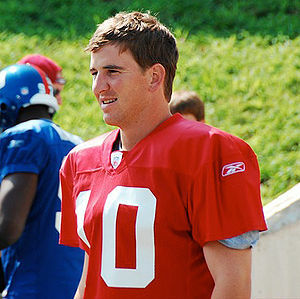 He will likely join Terry Bradshaw as Pittsburgh’s 200-TD quarterbacks sometime in the first half of the 2013 season. * San Diego’s Philip Rivers has 189 career TD passes with the Chargers. He will probably join Fouts and Hadl with 200 when he reaches that mark early this season. That will make the San Diego franchise only the second in league history to have three QBs with 200-plus TD passes.